I’m getting SO CLOSE! This week was the first week of tapering down and it felt wonderful. My last two goal races (Houston Marathon & Buffalo Half Marathon) I got injured late in training and did not get to fully enjoy the taper process. I took to the treadmill on Monday and Wednesday and put on the thermals for some heat training. I figured a little overdressed would only help me prepare for the potential warm weather in Miami. The good news is that the race starts at 6am before the sun comes up. The bad news is that the race starts at 6am. 😩😩😩 (I just discovered I can insert emojis into blog posts!! 🎉) Wednesday was also my last speed workout before the race and I got to run some short quarter mile intervals to get the legs turning over fast. Thursday morning I brought Georgie out for a quick jog and she ran 0.99 miles without stopping once! It was great! I decided to run long on Friday again—and man was I excited to only have to run 14 miles. 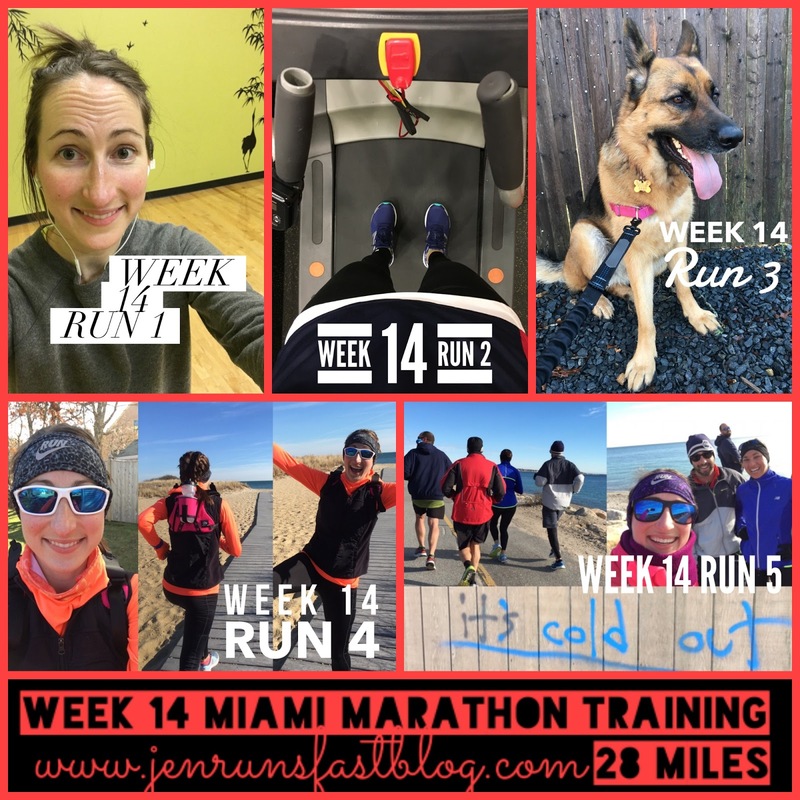 I spent a lot of time questioning at what point of marathon training does one get excited about a 10 or a 12 or a 14 mile long run? The weather was nice. A little on the cool side but definitely not cold like its been. My mom passed me on her way home from work and drove alongside me for about a mile. That was a nice surprise! Especially considering she told me the night before that she was thinking about biking with me and then she realized Friday morning that her bike was hanging up in the garage and she couldn’t get it down without my dad’s help. LOL thanks mom. Saturday morning it was back to being COLD but I had 3 miles left on the schedule and my friends were meeting up for Jason’s birthday bRUNch. We ended up running 5 miles down the Shining Sea Bikeway and went to Persey’s Place after. Jason, Danielle, Gary and Kyle all agreed that I won breakfast. 2 pancakes topped with strawberries and whipped cream, 2 eggs, 2 strips of bacon and 2 sausage patties. So good. 2 more weeks!!!! And side note: I’m so proud of Kristen for running her 10 miles! · Miami Marathon bib numbers have been assigned and I’m lucky number 2301! 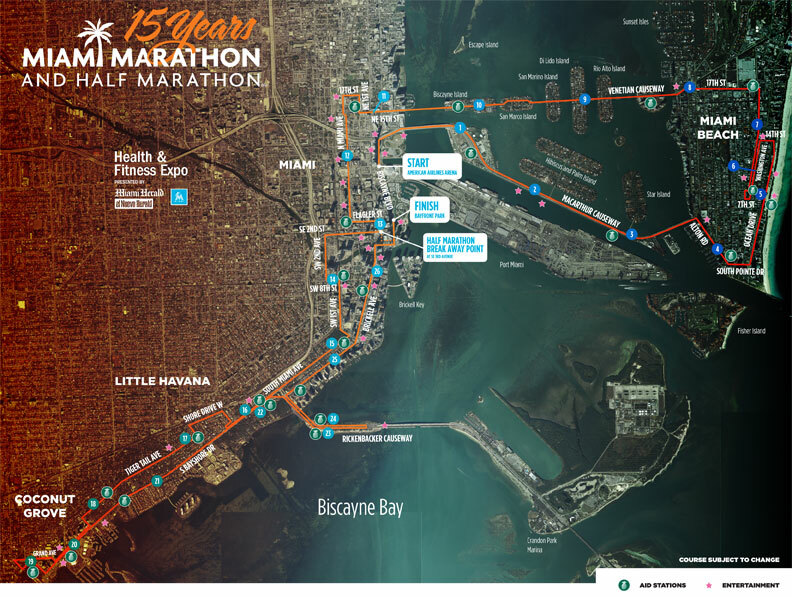 The route map has also been updated to incorporate the Venetian Causeway back into the course. I’m getting more and more excited!! 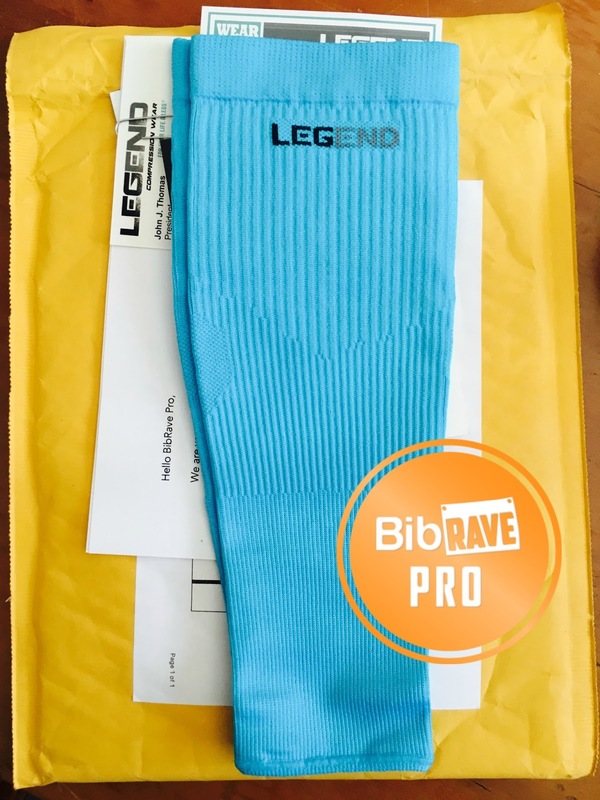 · I received a new product to test as a BibRave Pro! You may remember a few months ago I reviewed the Legend Compression Performance Socks. Another opportunity came up with Legend Compression and I couldn’t pass it up. This time I’ll be trying their leg sleeves and I especially love the pretty aqua blue color they sent me. 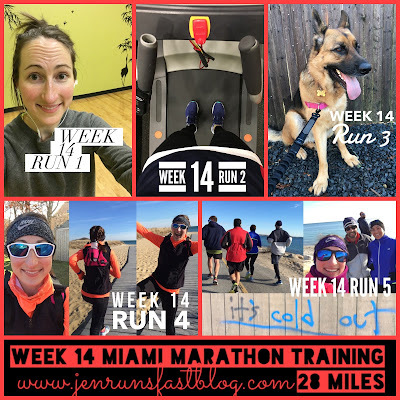 · 2 weeks until the Miami Marathon! 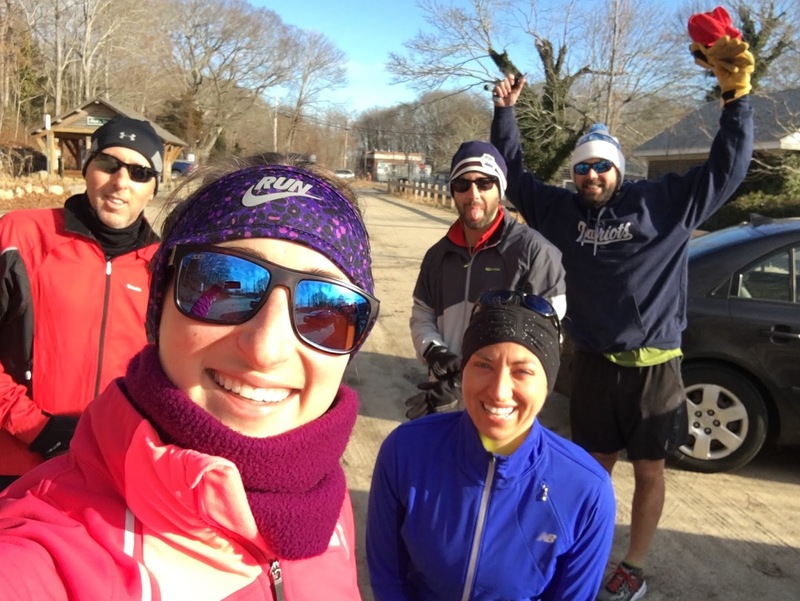 · 13 weeks until the Newport Rhode Race!